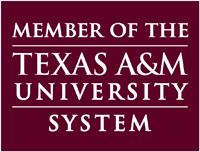 View links to headlines collected from other online news sources as well as links to resources created by the Texas A&M AgriLife Extension Service. Don't miss important disaster related news! Subscribe now and be notified by email about new hot topics. Wildfires affect America’s farms and ranches, damaging and destroying homes, barns, agriculture production facilities, crops and livestock. Much of this damage can be avoided, or at least minimized, if a few precautions are taken to minimize the risk and spread of wildfires. In many parts of Texas, severe winter weather ca n threaten your safety and the safety of your property. Blizzards, heavy snow, freezing rain, ice, and freezing temperatures occasionally cause havoc in parts of Texas. The conference includes concurrent sessions on disaster coordination across the country involving hurricane response and support, preparing for wildfires, creating action plans and more. The Texas A&M AgriLife Extension Service has deployed the first of two animal strike response teams to North Carolina to provide assistance with Hurricane Florence recovery efforts. Use this guide and checklist to strengthen your financial preparedness for disasters and emergencies.